Gourmet Services, Inc is the nation’s largest and oldest wholly minority owned foodservice management company. 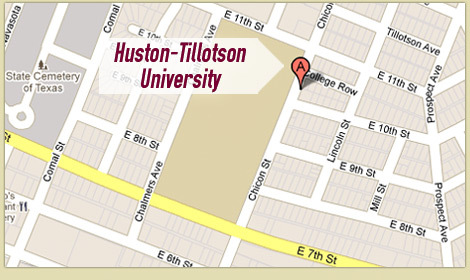 With over 35 years of experience in the hospitality industry, we serve over 6000 students each day at prestigious institutions such as Huston Tillotson University. In addition to foodservice management, we provide catering for all events from corporate luncheons and meetings to social events such as weddings, reunions, parties and receptions. From white glove service to backyard events, allow Gourmet Services Inc to exceed your dining expectations! Breakfast: 7:30 a.m. to 9:00 a.m.
Brunch: 10:00 a.m. to 1:00 p.m. Catering is available throughout the year for organizations, groups are individuals, within or outside of the university, who utilize the campus facilities for meetings, conferences, receptions, etc. You may choose from a variety of different menu options or customize your own. Please contact Rochelle Jones at 512.505.3153, for quotes on your specific catering needs.